* Based on individual perception of results by a panel of female volunteers using the Brow Pencil. ** Based on individual perception of results by a panel of female volunteers using Tinted Brow Gel. 1. Use brush and comb to set brows into place. 2. Apply highlighter under brow following the arch. Lightly blend. Add three dots above the arch & blend for an instant brow lift. 3. Fill in sparse areas with brow pencil. Use short, feathery strokes in same direction your brow hair naturally grows. 4. 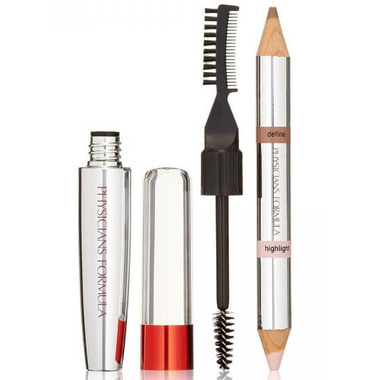 Brush brow gel onto brows in light, upward strokes to set & perfect brows.